Twitter is starting to make some noise about getting more retailers to use its platform for social commerce. Given the up and downs that merchants have had on Facebook in recent years, it's not the easiest sell. But Duane Reade and Papa John's Pizza are early believers in Twitter's ability to make cash registers ring. Duane Reade, a Walgreens subsidiary with roughly 250 pharmacies/groceries in the New York area, has a manifold social media strategy—but gives Twitter major props for some stellar results. First of all, the brand has increased its followers on the social platform to 1.1 million with Promoted Accounts ads in the last year, representing a 6,700 percent jump. To commemorate recently passing the 1 million milestone, it's holding a "party" on Twitter tonight at 7 p.m. 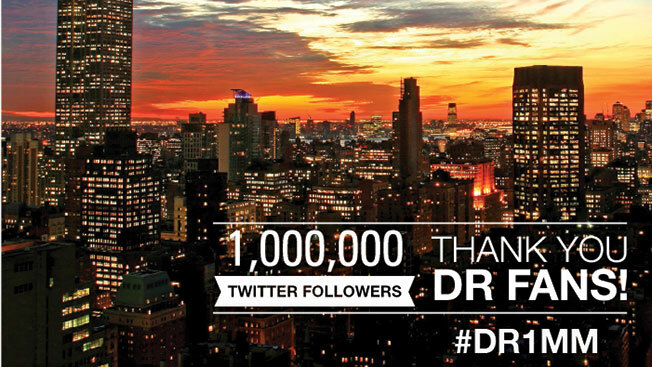 ET, giving away prizes and incorporating a handful of hashtags such as #DR1MM. Duane Reade has averaged a 4 percent engagement rate for Promoted Tweets—walloping the industry average of 2 percent. Some efforts, the retailer said, garnered engagement rates as high as 8 percent ("engagement" represents retweets, favorites, follows and clicks). But here's the kicker: For a #DRLegwear campaign pushing women's hosiery, Duane Reade saw a 28 percent lift for in-store sales for the product category. Calvin Peters, social media lead for the pharmacy chain, said the success is partly due to partnering with parenting bloggers (such as Linda Grant) who have big Twitter followings via shopper marketing service Collective Bias. They tweet the brand's messaging to their collective 98,000 followers. And constant public relations via agency 5W serves as the third wing of attack, Peters said. Just as important, employing text and visuals, Peters' team focuses on creating a local-but-illuminating identity for the Duane Reade brand via Twitter. "We have a New York-centric voice that's very witty and fun," the retail exec told Adweek. "The brand voice plus brand advocacy plus PR integration plus relevant conversation equals return-on-investment." Peters said up next is a Halloween campaign in two weeks that focuses on a user-generated photos contest. "Everything we do is image-based," he explained. "If you see a tweet or post without an image, then it will at least have a link that leads to dynamic images." Meanwhile, Papa John's location in Houston has been testing HipLogiq's SocialCompass platform, which searches Twitter based on keywords. Examples include the following phrases within tweets: love pizza; need something sweet; ordering pizza; want breadsticks; want some pizza; want wings; and craving breadsticks. When highly targetable Twitter users are identified, Papa John's pitches them offers such as 20 percent off or buy-one-get-one-free. Conversion rates for coupon downloaders hit 52 percent during a recent four-week period, per the brand. And since then, Papa John's has seen a 35 percent conversion rate for coupon downloaders. These lucrative statistics were accomplished without a single Promoted Tweet ad buy. Bernie Perrine, CEO of HipLogiq, said his company and Papa John's are currently talking about rolling out similar efforts around the country. He said the Houston results should show skeptics that Twitter can be a powerful sales engine. "The platform offers much better geotargeting compared to other social networks," Perrine said. "You can reach out to the local consumer who has shown purchase intent. Those are the elements Twitter brings to marketers." Nathan Hubbard, who joined Twitter last month to drive its retail-based ambitions, certainly wouldn't argue. The TicketMaster/LiveNation vet was brought on board to lure more retailers and e-commerce players to the San Francisco-based firm's platform.